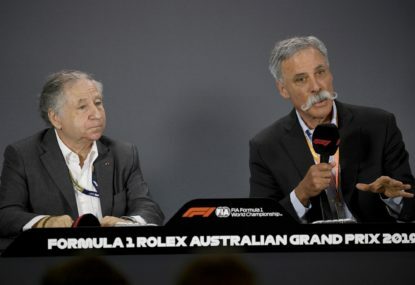 Michael is a presenter/producer of ABC Grandstand's national F1 programme Box of Neutrals, but his most significant claim to fame came during the 2013 Australian Grand Prix when he angered the French contingent of the paddock by accidentally opening an umbrella indoors. He's also done some other things, none of which are particularly interesting. You can find him every Friday at 10:30AM (AET) on ABC Grandstand, or talking largely to himself at any time on Twitter: @MichaelLamonato. I don’t know if a buy that Vettel is at his best under pressure. There were plenty of cracks under pressure last season — Singapore being the biggest — and also in his past. I’m not saying he always folds when pressured, but I wouldn’t define him by his performances in crunch moments. Alonso has never been the fastest qualifier, but after the European season Massa outqualified Alonso only twice, in the USA — Alonso was sent out on old tyres, I think, in Q3 — and in Brazil, where Vettel also struggled, so I don’t think you can point to this as a direct comparison with Vettel as an example of relative performances under pressure. 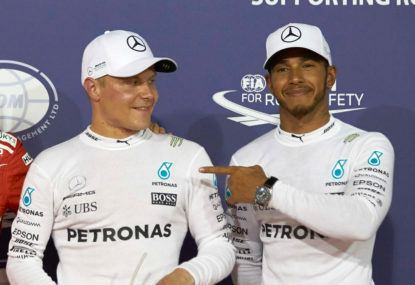 The 2014 championship fight between Hamilton and Rosberg also went down to the last race. Granted Hamilton’s five in a row in the second half of the season put him in the box seat, but the season was still closely fought. Hamilton really walked to the 2015 title only. Yeah, it’s a bit of a chicken-and-egg thing with Alonso winning in other cars. 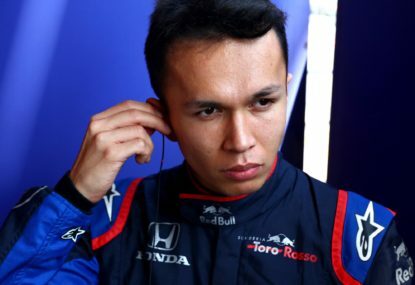 Luck always play a part in whether a driver ends up at a quick team, but the fact he’s probably the quickest guy out there yet hasn’t been offered any deals to drive for quicker teams — in fact I heard he offered to return to Ferrari for free — speaks volumes about why he never got a run in those cars. Interesting comparison with Vettel and Hamilton. Hard to say how accurate it is, but I thought it was interesting that Maurice Hamilton noted Alonso used to be substantially more open inside the team before McLaren 2007, after which he became intensely self-focussed. I think to say F1 isn’t sufficiently well stocked with talent to cover Alonso’s loss is more a reflection on Fernando than it is the sport overall. I think we’re pretty lucky at the moment in the sense that every frontrunning driver deserves their place and are kept honest by a bunch of very quick midfield drivers who would warrant a go. The difference is that Fernando, at very least at his best, is probably better than them all, as you say. I’ve always found it hard to compare eras, but your list is pretty comprehensive! Definitely true! 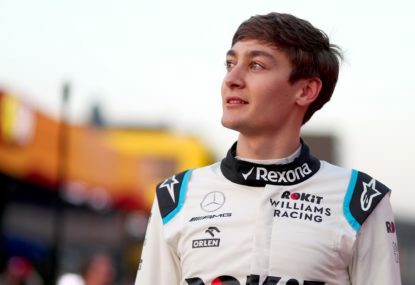 He’s obviously regarded as a talent greater than his haul of championships, so it’s not as if he’s walking away from Formula One without the recognition he deserves. It’s just a shame he hasn’t been able to prolong his impact. Absolutely right. 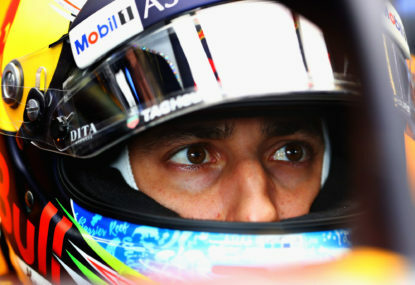 I think F1 will be poorer without him, but it was already missing him being in a competitive car. 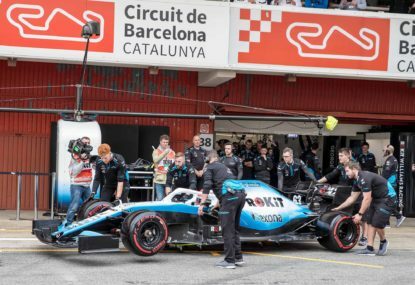 It’s true that some changes have been tactical, but tactical power unit changes come about because the team is already assuming they’ll be taking grid penalties down the line anyway. Precautionary power unit changes underline how the power unit is either unreliable or still not fully understood. Certainly what the numbers don’t show is the reasoning behind the high component usage, but I don’t think it’s unfair to say that the Honda engine has been less reliable than the Renault. 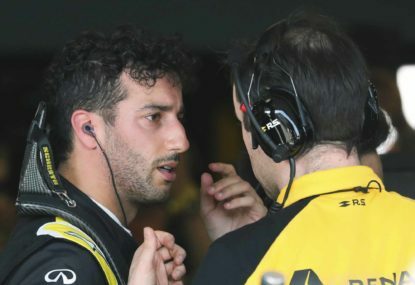 I think it’s fair to call it a punt, but I also think that once the door to Ferrari and Mercedes closed on Ricciardo, his question became whether Renault could be better than Red Bull Racing by the end of 2020 rather than whether he could win a title with either, because neither seems likely to be in championship contention. That’s still a risk given Renault is lagging a fair way behind at the moment, but it’s not as dire as it might look. Spot on. I don’t think Red Bull Racing will be in a particularly competitive position in 2019 anyway with a new engine — and Honda has been quietly unreliable this season too — so for at least one year Ricciardo may as well be racing for anyone. In 2020 Renault aims to be in podium and victory contention, which is presumably the space Red Bull Racing will also be occupying. 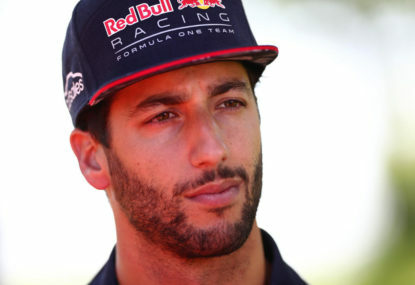 If the team convinced Ricciardo it’s on track to be thereabouts, then wouldn’t he go for the genuine works team where he has an opportunity to be the lead driver? Bold call! Not sure I believe it, though. Adrian Newey is involved with Aston Martin via Red Bull Racing too, and he’ll be involved in setting up design outlines for the 2021 machine. If he were to go, it’d have to be this year assuming the regulations timelines are met. I think it makes much more sense that Red Bull Racing underestimated how much they could push Ricciardo in negotiations. 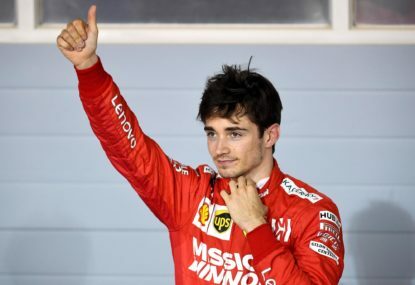 With essentially no cards to play — Mercedes and Ferrari are both closed to him now — the team probably gave him an inferior deal to Max financially and perhaps sportingly. Renault swopped in at the right time, presumably with a lucrative offer and promises of less PR duty and whatever else, and grabbed him. Yep, Renault for now is spending approximately half of Mercedes and Ferrari’s budget and around three-quarters of Red Bull Racing is spending, but it’s doing this deliberately on the understanding that a budget cap will be introduced after 2020. By keeping its spend at around about where it is, it won’t be required to dramatically and disruptively downsize. This won’t exclude it from pumping in short-term funds to try to bridge that gap in the next few years, however, if it feels like that will best place it to be competitive after 2020. Either way, the steps Renault has made since buying back the team have been impressive. The gap to the frontrunners will be the largest and most difficult step, but its progress to date is promising. It’ll be a big year for Nico Hulkenberg to prove his worth. He was, after all, for a time the next big thing, since forgotten as a midfield journeyman. He’s done very well against Carlos Sainz, but I think Daniel should have him covered. I think wins will likely be too ambitious for Renault next year. 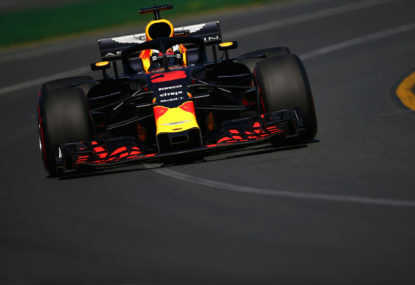 Even if the power unit improves — which it should and must — the chassis is obviously the defining weakness given the team’s performance relative to Red Bull Racing, and I don’t know that that large a gap can be closed in a season. Certainly, however, if the team aims to be vying for a title by 2021, you’d think podium appearances would have to be close. Yeah, I think that’s fair, though that’s at least partly been down to clashes with the first round of the AFL season. I think it’ll get a bit more traction again now that the race is scheduled between the preseason and first round. Could Melbourne be squeezed out? It’s a bit ironic, then, that you’re talking about it in a comments section on an F1 article other people are also commenting about! I understand your point about comparing the regulations of the 1990s to those of today, which I think serves to demonstrate how difficult it is to compare eras — the nature of the cars are fundamentally different across the history of the sport. 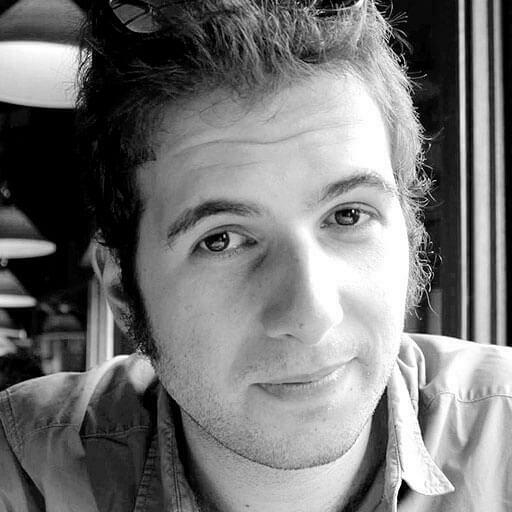 It’s like debating whether Juan Manuel Fangio is the best driver in history — how can we objectively assess it? However, just because drivers were punished more severely for their mistakes — and not simply by ending their races in the gravel but also by risking serious injury or death — doesn’t make them more skilled any more than it makes the teams of old more competent than those of today. Maybe they were braver, but I think it’s difficult to argue that the level of training and preparation the modern-day athlete undertakes doesn’t put them at a higher level of overall performance. 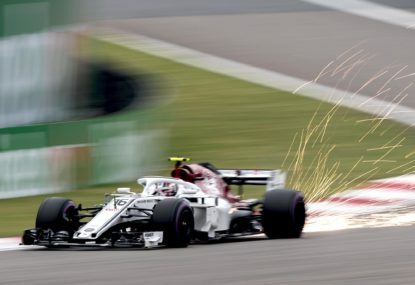 I take your point about Hamilton passing the Haas cars, but he was also cruising past the Force India cars, which were using the same power unit he was. It’s all a function of the chassis. Also, Hamilton seems to say overtaking is almost impossible on every circuit he has to overtake on — I think making himself the underdog is a self-motivation tool. It’s an interesting point. 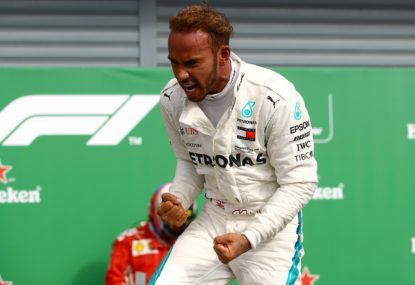 Even this year he’s made some key mistakes, like his lock-up in Azerbaijan, which also ended up handing a win to Hamilton, and also copping a grid penalty in Austria for blocking during qualifying. They all lost him points, and that adds up over a season. Bold call to sack him, however! I’d love to see Ricciardo go head-to-head with Vettel again, though. Fair call on the team orders. I’m still not sure why Ferrari was so hesitant to move Raikkonen aside. The team knew he was almost certainly on a two-stop strategy at that point while Vettel could get away with a one-stop. That could’ve been a massive own-goal without the rain and may well have contributed to his crash, as you say. I think you’ve missed the mark on engine performance, though. Raikkonen was faster on some laps than Bottas after the safety car, only really letting go on the last two laps. 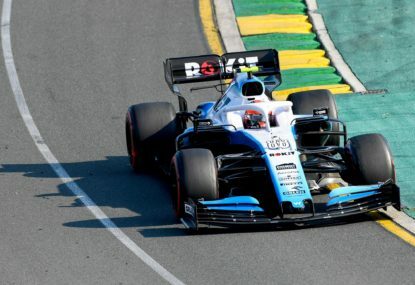 Don’t forget that the peak power differences we see in qualifying are less relevant in race pace, so it’d be fair to say the two packages are more closely matched on Sunday, therefore on the same tyres passing Bottas was always going to be difficult, and they finished only two seconds apart. Don’t look back on the past with rose-tinted glasses. All those drivers made mistakes. 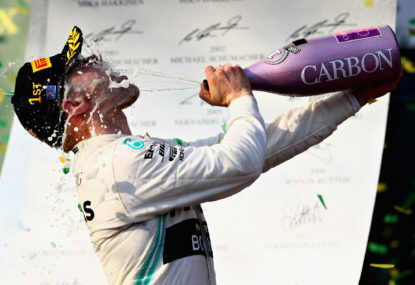 I think this championship will be decided by mistakes, but only in the way that both Vettel and Hamilton and their respective teams are performing at a similarly high level — the only difference between them will be errors. 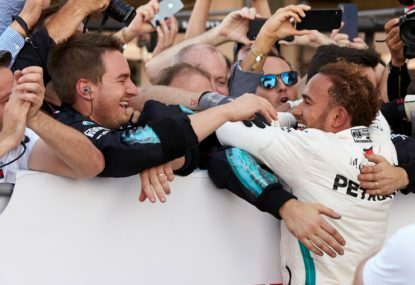 I think what you’re both touching on there is the fact that TV is still the principal vehicle by which F1 fans watch the sport. 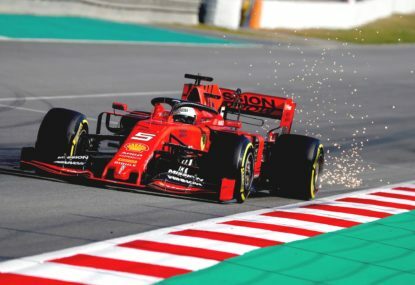 F1 can spend millions of dollars to speed the cars up by five seconds per lap, and maybe this is noticeable at certain parts of certain tracks when you’re there in the flesh, but you can hardly tell on the television. The fact that this pursuit has been detrimental to racing leaves the spectacle reduced overall. It’s a pretty incredible idea that aerodynamics is now so powerful in Formula One that aero-dependent circuits are now power tracks. It’s a very difficult problem to solve, though. As much as we can take downforce off the car by regulation, engineers can’t unlearn the lessons of the past 50 years and will eventually recover the lost aerodynamic performance. Like you say, the only guaranteed way to remove downforce is to remove wings and heavily regulate the rest of the bodywork — but then that’s not going to fly with just about everyone! Maybe this form of motorsport, with its relatively open regulations and technical bent, is reaching the end of its course because everyone’s just too good at it now. I guess Hamilton was unhappy because he’d been on such an emotional ride all weekend. He’s that kind of guy, which I think the sport is better for having. I thought everything he did up to trying to blame Ferrari for him not winning was great. In retrospect he’s withdrawn that accusation and maybe he’ll also consider that he had a pretty good race after the crash and lost only seven points in the championship, which is a pretty good result after botching his start, crash not withstanding. I was very surprised by Toto Wolff’s post-race commentary. It’s unlike him to give airtime to that sort of conspiracy, and also the fact he named James Allison was extremely strange. Yeah, I don’t mind too much when Hamilton goes off script, like when he walked away from the post-race interview. I get that he was on an emotional roller-coaster that weekend and that ending the race less than three seconds off the lead but powerless to challenge must’ve been frustrating. I think he put his actions in a poor context by making those implications, though, so at the end of the afternoon it seemed like he was walking away because he was sour about it. Yeah, credit to him for accepting his mistake. I’m always torn with Hamilton. it’s great to have a driver who isn’t thinking about the PR of what he says and does first — although that in some respects is its own PR — but it just comes across as so petty after executing a great race after the start. It is great new that Ferrari is keeping up. This was always the test — if Ferrari had the systems and processes in place to combat a team that had years without competition to hone its skills. But maybe the opposite is true and years of non-competition has left Mercedes a little exposed. This season really is a fascinating one. Yep, the start was absolutely what cost Hamilton. He didn’t win the race in the end, but I think second is the most he ‘deserved’ in that situation — and by that I’m not saying he couldn’t have won the race had Kimi not hit him, but to drop to fourth or fifth on the first lap behind cars that are equally as fast would have made it difficult to clumb much further up the field than that anyway. 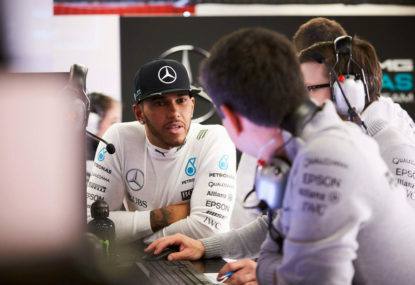 There is no motorsport series in the world that offers the same publicity Formula One does. IndyCar has a fraction of the viewers F1 commands, and even in the United States it lags behind Nascar. Moreover, a team like McLaren isn’t entering a series just because there’s a monetary return; teams race in F1 because it’s prestigious and therefore deemed worth the financial risk. 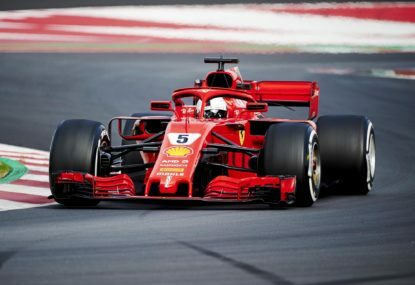 Sure, open-wheel racing and the Indy 500 have great history in global motorsport terms, but the Formula One world championship remains a higher prize.